Staying young and aging gracefully are frequent topics when it comes to Baby Boomers. 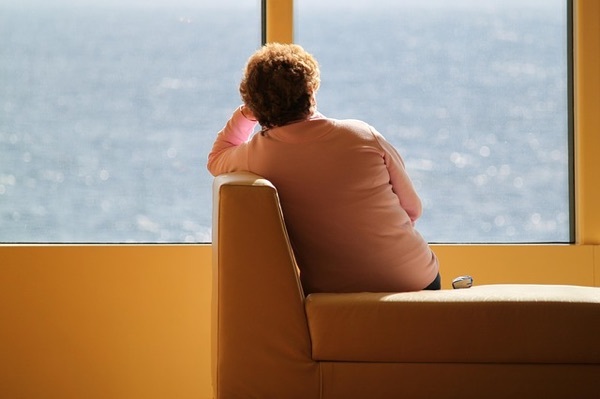 A recent study from the Vital Brain Aging Program at the Neurosciences Institute, Hoag Hospital, reports: “Depression continues to be a major issue in the aging community, and it usually goes undetected and untreated. Depression leads to isolation, worsening of existing medical conditions and poor self-care.” The study also mentioned that depression is a risk factor for Alzheimer’s disease. The interesting part of this study is that there are similar studies that link hearing loss to both depression and cognitive decline. The literature is rich with this latest information. Depression and hearing loss go hand-in-hand. People with hearing loss usually find communication difficult and this leads to stress, fatigue, and social isolation. Social isolation, of course, can lead to depression. The good news is that it doesn’t have to be that way! A simple visit with an audiologist for a comprehensive baseline hearing test can help change the course of your patient’s health. In fact, nine out of ten people reported a significant improvement in their quality of life after seeking treatment and receiving hearing enhancement, according to the study. A hearing screening is often the first hearing “test” a patient has had. A screening mildly determines if the hearing is normal or outside of normal parameters. It also tells us if the patient needs help with their hearing or further testing is required. An audiologic evaluation (92557) is a thorough diagnostic test that includes an assessment of the air conduction, bone conduction, and overall speech understanding. This comprehensive test tells us if there is a hearing loss, how much and what type. Typically a thorough assessment includes an impedance evaluation (92668) as well. Medicare will cover the comprehensive audiologic evaluation and test if ordered by a physician. We recommend every patient over the age of 60 to have a baseline hearing test done with an Audiologist. At this test an audiologist will assess risk factors and determine a proper re-test schedule. For example, people with no risk factors (family history, noise exposure, or a health condition that could affect the ears) may not need to be retested for three years unless a perceived problem arises. On the other hand, if a person has diabetes or kidney disease, or has a noisy hobby, an annual hearing test would be recommended.